Dr. Phillip Holzman worked alongside Dr. Karl Menninger on various books and journal articles. They published the "Theory of Psychoanalytic Technique". 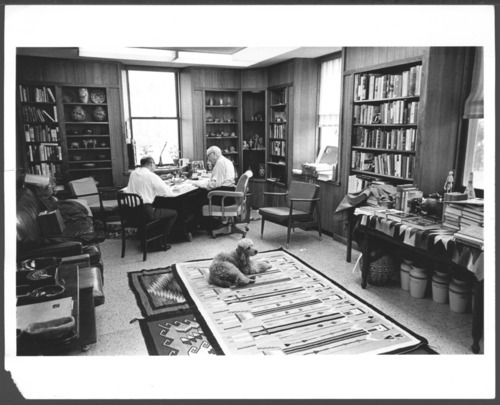 This photograph shows both men in Dr. Karl's office. In the foreground is Menninger's poodle Babar.